VALVE MATERIAL: Stainless steel, hard chrome stems, hardened tip. VALVE SPRINGS: Single spring with damper, 1.250" diameter, installed height 1.750". 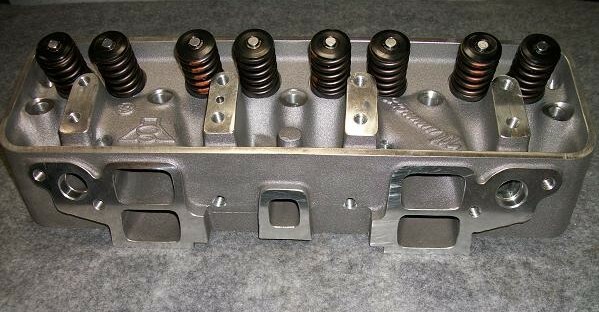 110# Seat @ 1.750" 280# @ .500" Seat pressure 85# with +.050" keepers. Hardened keepers with 1 piece steel retainers. OEM INTAKE FLANGE PATTERN. Accepts existing intake manifolds. OEM EXHAUST FLANGE PATTERN. Accepts existing exhaust. 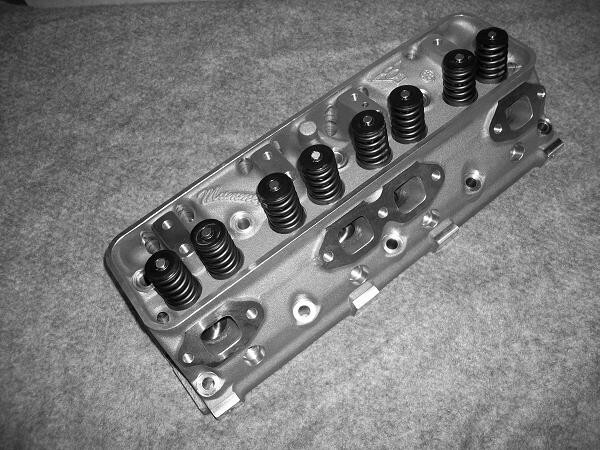 OEM VALVE COVER RAIL. Accepts existing valve covers.